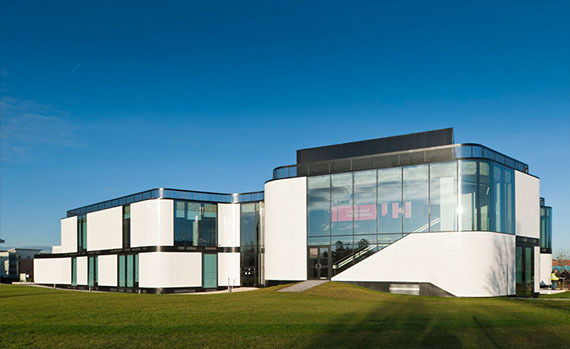 The University of Hertfordshire is the UK’s leading business-facing university and an exemplar in the sector. It is innovative and enterprising and challenges individuals and organisations to excel. 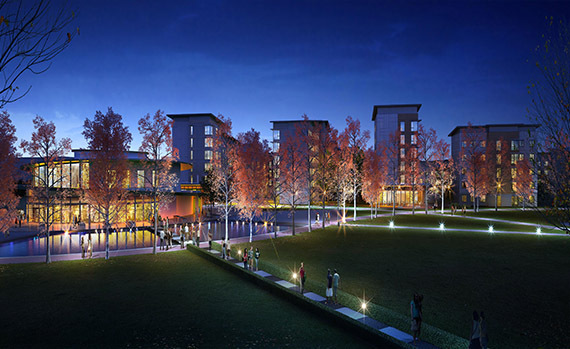 undergraduate accommodation. The campus is lively, safe and friendly, and houses one of the county’s top venues, The Forum. University of Hertfordshire takes a flexible approach to learning, teaching and research, offering e-learning and part-time study options. The creative and entrepreneurial environment is enhanced by close links with business and professions, providing great opportunities for work placements and travel. Currently around 5,000 students are studying University of Hertfordshire qualifications in partner institutions in the UK and overseas. There are many International students from 100 different countries studying at the University of Hertfordshire. The University has a global network of over 195,000 alumni. More than 50% of our academic staff are Fellows of the Higher Education Academy, recognising their commitment to professionalism in teaching and learning. The University’s School of Pharmacy has been awarded full Royal Pharmaceutical Society of Great Britain accreditation. The University of Hertfordshire is now one of the top twenty universities in the world to study animation. 93.2% of our full-time, first degree UK graduates are in work or further study within six months of graduating (Destination of Leavers from Higher Education 2012–13). 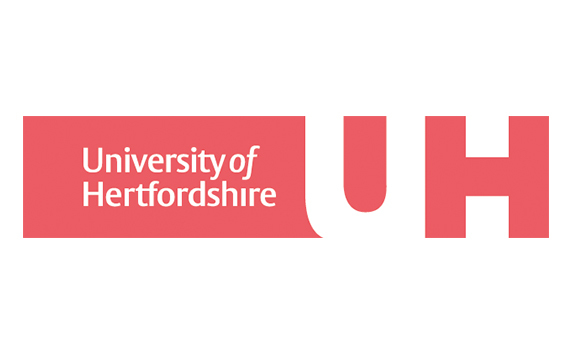 Over 3,700 new teachers have qualified from the University of Hertfordshire in the last 10 years. 350 qualified nurses graduate from the University of Hertfordshire each year. Our School of Health and Social Work has a long-established reputation as a centre for excellence for healthcare education. University of Hertfordshire Aerodynamics graduate, Frank Ogilvie, was Aerodynamics Director on the A380 double-decker ‘superjumbo’ jet. There is a University of Hertfordshire graduate in every British Formula 1 team and UH Racing, the University’s formula student team, is currently ranked 23rd in the world out of 500+ teams. 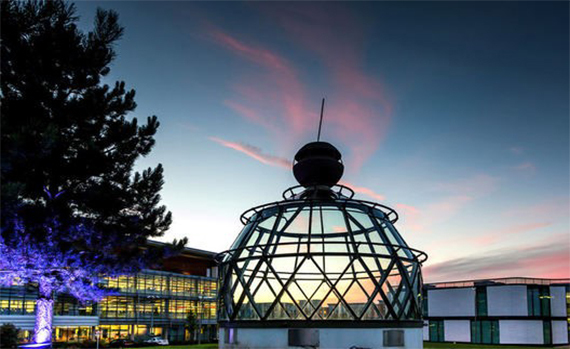 10% of all known planets were discovered by University of Hertfordshire astronomers. Our research institute contains world-leading and internationally excellent research from a wide range of scientific and technological disciplines. Our students have worked on the special effects in Harry Potter, Clash of the Titans 2, X Men and Captain America. University of Hertfordshire volcanic dust sensors are helping the Met Office provide vital information on the safety of UK airspace. Most babies born in Hertfordshire are delivered by a University of Hertfordshire educated midwife.